Rock climbers can’t afford to make careless mistakes. But Detective Inspector Nick Dixon’s former climbing partner, Jake Fayter, died doing just that. Or so it seems. Dixon suspects foul play, but his only leads are unreliable accounts of something odd happening in Cheddar Gorge seconds before Jake fell. The more Dixon learns about Jake’s life, the more he realises that Jake hadn’t been quite the man he remembered...and a lot of people could have wanted him dead. Once Dixon gets too close to the truth, those people will emerge from the shadows and kill to protect their secrets. As the body count rises, Dixon bends the rules to breaking point to lure out a killer and unravel a conspiracy of silence that will rock the sleepy town of Burnham-on-Sea to its core. 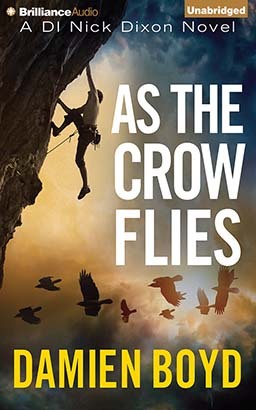 As the Crow Flies is the electrifying first novel in the DI Nick Dixon Crime Series.